A few long-awaited iOS 11 features that Apple had promised way back in June 2017 have finally made their way to iPhones with the iOS 11.4 update. Aside from finally delivering on those, there's not a whole lot new in iOS 11.4 as a whole, though, there are a few things you'll definitely want to know about. Apple first introduced iOS 11.4 as a beta on April 2, 2018, and it went through six beta versions before being released to everyone 57 days later on May 29. By comparison, iOS 11.4 has only a few significant features versus iOS 11.3 which sported over 20 solid feature features over its previous version. And this is no surprise since Apple is hard at work getting iOS working smoothly, which will be a big part of iOS 12 in the near future. 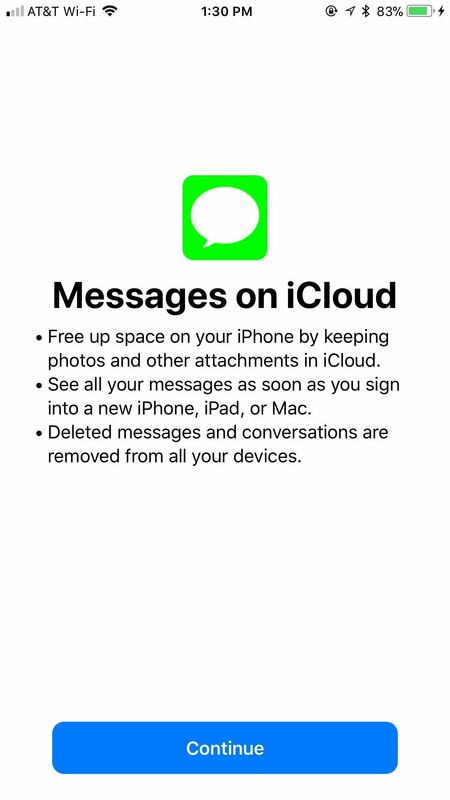 After waiting almost eight months, Messages in iCloud has finally made its way to Apple devices. In the iCloud settings page, you can toggle on "Messages," then open up the Messages app to see the welcome prompt. 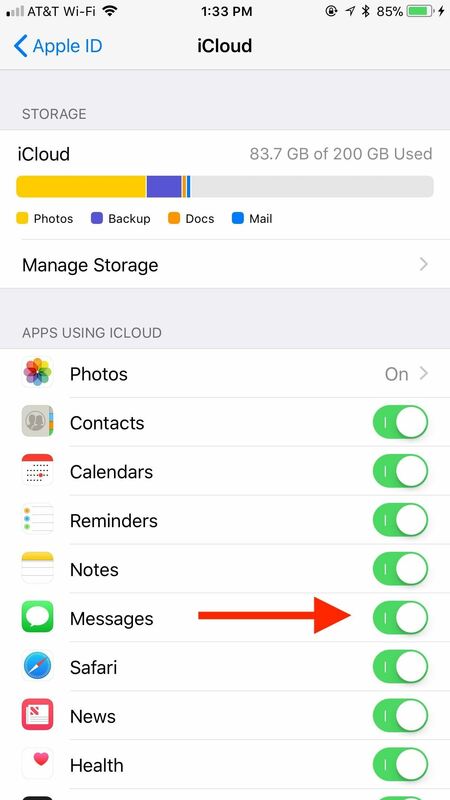 In early betas of the feature, you would toggle on "Messages on iCloud" in the Messages settings. If you plan on using this feature to sync with your Mac, you'll need to be running macOS 10.13.5 or higher. 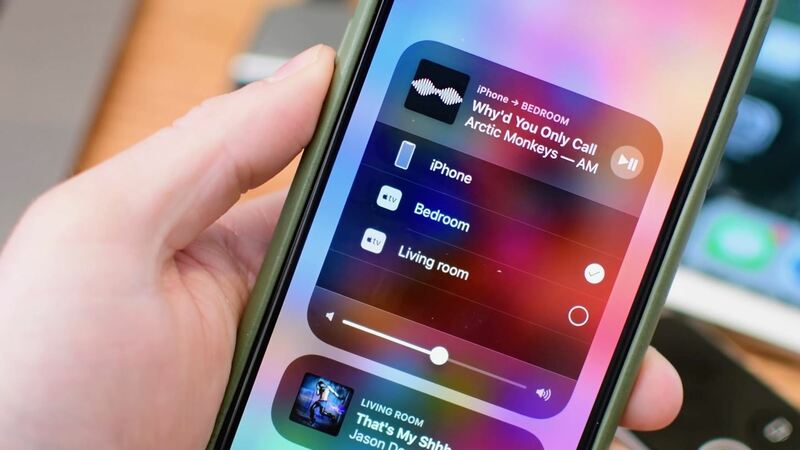 Another feature we've been waiting over eight months for is AirPlay 2. It showed its face a few times before in previous betas, but it's finally here to stay in iOS 11.4's stable release. Right now, AirPlay 2 only supports Apple TVs that are running tvOS 11.4, as well as HomePods, but will eventually support compatible third-party speakers from companies like Sonos. With Airplay 2, you can listen to the same audio on multiple speakers throughout your home, transfer audio from one speaker to another, play audio in one room from another, and create stereo pairs with the HomePod. You can control the rooms in the Home app, via the Control Center, and even to some degree with Siri (see next feature!). And yes, you read that right ... Apple's HomePod speakers now have stereo pairing, a feature that was promised for the HomePod's launch back on Feb. 9, 2018. If you've been holding back from purchasing another HomePod because of this, now's your chance to finally get stereo sounds in one room. Speaking of AirPlay 2, Siri can now initiate play on compatible AirPlay 2 speakers and devices, such as an Apple TV. 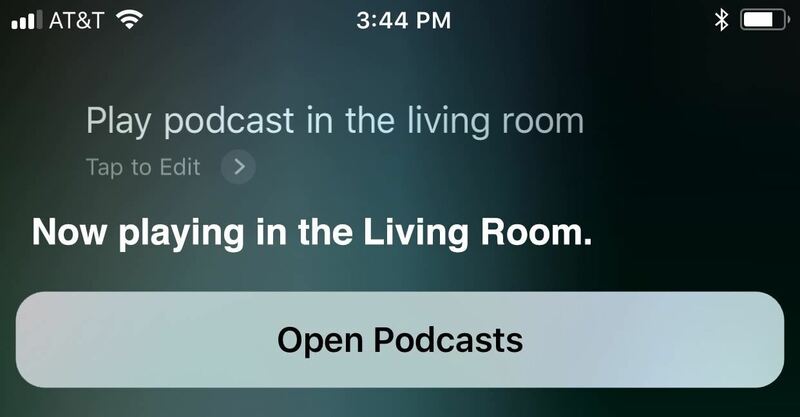 For instance, you can tell Siri to "Play [Whatever] podcast in the living room," and Siri will start playing it right away. If it's an Apple TV connected via HDMI-CEC, the TV will even turn on if it's currently off. You can also use Siri to initiate and control multi-room playback if you have more than one AirPlay 2 device. This isn't really a feature, but it's a critical fix that was necessary. 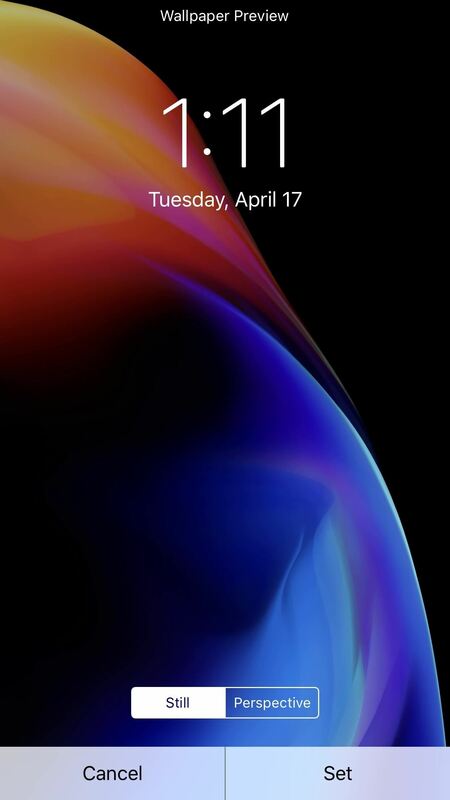 A few days after iOS 11.3 was released, we discovered that 3D Touch would no longer work on the home screen right away after unlocking the device. In most cases, it would start working after three or four seconds, but if you tried to use it right away on an app icon to see its Quick Actions, it wouldn't work and would instead put you in edit mode. This is finally fixed in iOS 11.4. The issue that happens in iOS 11.3 up to iOS 11.4 beta 2, but is fixed in iOS 11.4 stable. 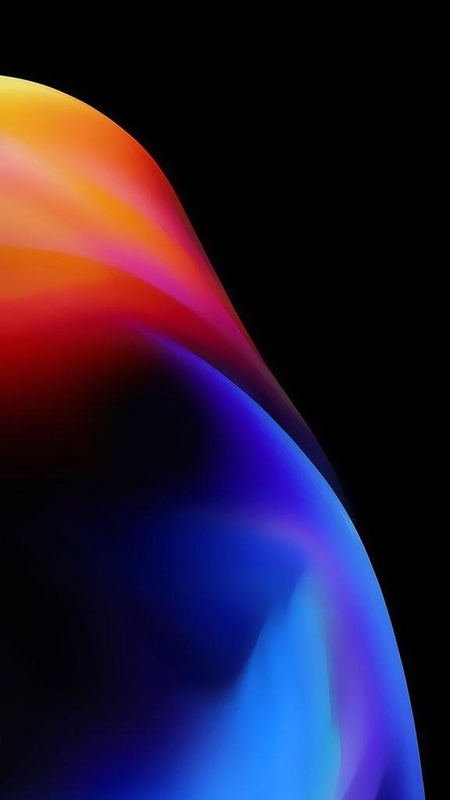 Yes, yet another wallpaper as a "feature" for iOS, but this time, it's only available for specific iPhone models: the iPhone 8 and iPhone 8 Plus. 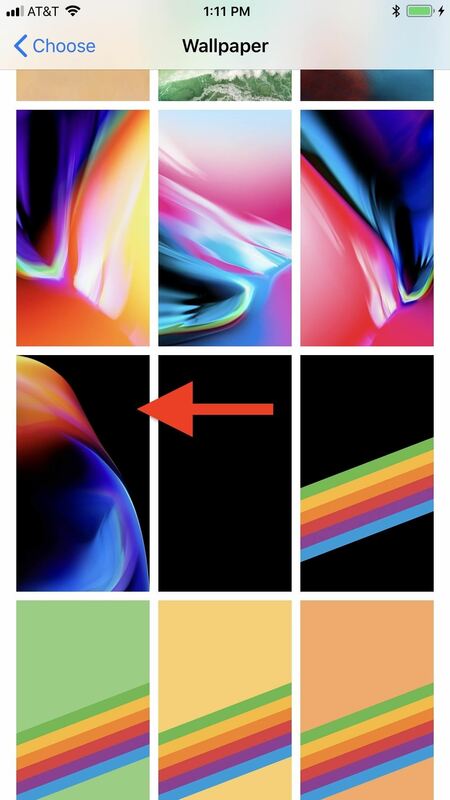 This new still wallpaper first appeared on the (PRODUCT) RED iPhone 8 models, but the iPhone X, iPhone 7, etc. doesn't seem to have native access to it (but that doesn't mean you can't download it). This feature briefly appeared in an iOS 11.3 beta but was removed when the stable update was released. Now, it's back in iOS 11.4 for everyone. "USB Restricted Mode" is a behind-the-scenes feature that protects your data from hackers, thieves, digital forensic specialists, and law enforcement officials. 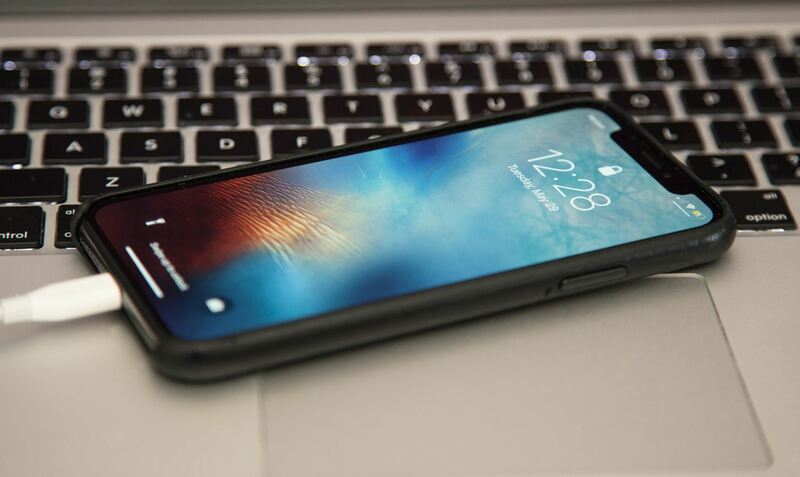 If you don't unlock your iPhone with biometrics or a passcode during a seven-day period, after those seven days are up, iOS will restrict the Lightning port to charging mode only. That means if someone tries to plug in your iPhone into their computer via USB cable, they will only be able to charge it, not use tools like Grayshift and Cellebrite to brute-force their passcode or transfer any data. This also applies if a computer is not trusted during any time period. A bug that would allow certain character sequences to crash Messages. Out-of-order messages in the Messages app. Issue with logging in or accessing files on Google Drive, Google Docs, and Gmail in Safari. A problem with data syncing in the Health app. An issue that was preventing the ability to change what apps access Health data. Apps that appear in incorrect locations on the home screen. Distorted audio problems with CarPlay. An issue where selecting music from your iPhone could fail when playing music over Bluetooth or via USB on some vehicles. One of the most significant updates to iOS 11.4 doesn't even pertain to iPhones, unfortunately. 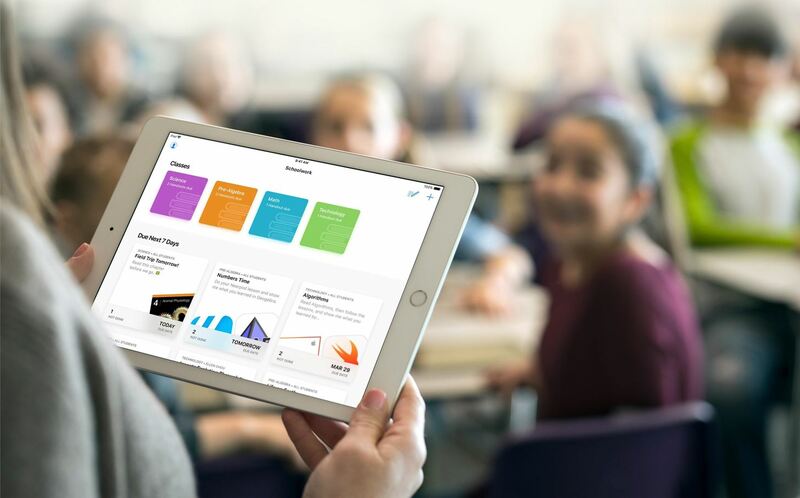 The ClassKit framework is for education apps only, which works in conjunction with the "Schoolwork" app on iPads in schools. This allows teachers to give out and collect digital assignments, lets students and teachers collaborate more closely together, and lets teachers track student progress. If you don't have an iPad given to you from school, you'll never get to experience any of the possibilities ClassKit provides to developers. Maybe one day Apple will finally open these education-only features up to everyone, most notably, Share iPad, which has been a request by iPhone users for some time now. As of right now, those are the most prominent changes that appear in iOS 11.4. We'll keep hunting for more features, if any, to add to the list. It's not worth mentioning any more bug fixes since some of them arose in the betas, not beforehand, but we'll be sure to list all the major bug fixes once they are known. Let's be honest - USB Restricted Mode has nothing to do with protecting user data from hackers and thieves as the preexisting security measures accomplish this goal quite effectively. The sole purpose of USB Restricted Mode is to prevent law enforcement access to the device in order to protect drug dealers, pedophiles, rapists, and murderers. Anyone who supports such measures designed to prevent law enforcement from accessing the data with a valid search warrant is, by default, supporting the criminals who victimize our communities and neighbors.